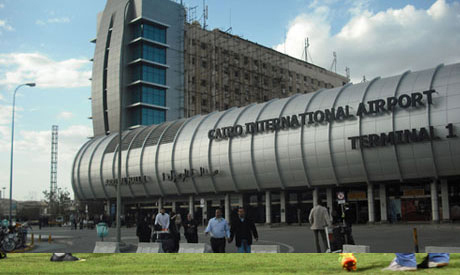 Egypt's government plans to build an airport city around Cairo's international airport at a cost of LE80 billion, said Mahmoud Essmat, Chief Executive Officer of the Holding Company for Airports and Aviation. The project's consultancy, AECOM, has already completed the feasibility study for the project, which includes five phases to be completed by 2020, Essmat said at a press conference on Saturday. Revenues from the project are expected to amount to LE422 billion by 2040. The airport city will include touristic, trade, entertainment, medical and educational areas built on environmentally friendly infrastructure on an area of 10 million square metres. The ambitious project is expected to create 30,000 direct jobs and 90,000 indirect jobs. Essmat expressed hopes that the project would attract investments from Egyptian and Arab investors. Egypt's government has recently announced several ambitious projects with the aim of increasing investments and boosting the ailing economy. Earlier this month, President Abdel-Fattah El-Sisi gave the green light for digging a new waterway alongside the Suez Canal which is expected to boost revenues by 259 percent. Also on Saturday, Prime Minister Ibrahim Mahlab announced plans to develop the country's North Cost to attract more tourists. Egypt's unemployment rate hit 13.3 percent in the second quarter of 2014. Net Foreign Direct Investments (FDIs) were $1.8 billion in the third quarter of 2013/2014, with the inflows mostly from the United Kingdom, United States and Arab countries. Did the people that did the feasibility study try to park their car at the airport?? They should try and fix that problem before they start building a "new city". It is impossible to park a car there.... No organisation, not enough places, it is a nightmare!! what will it be like with a city added to it? You have to go through multiple toll stations to move around the airport, far too many roads for such a small airport. Major international airports such as Heathrow in London or JFK in New York have MANY more flights and a lot more passengers and yet they do not have any of these problems.